Nevada has opened its doors to marijuana for medicinal purposes and seems poised, experts say, to be the fifth state to legalize for recreational use. Sin City’s home, the Silver State, has already made a splash with an incredibly liberal version of medical reciprocity. What is medical reciprocity? Basically, Nevada will accept any out of state marijuana recommendation so long as it’s accompanied by a valid i.d. and a signed affidavit. This, it’s been argued, lays some serious groundwork for recreational legalization in Nevada by broadening local dispensary patient base. Nevada voters will consider the legalization of marijuana for anyone over 21 this November 2016. The Petition 1 measure “upon voter approval, would legalize one ounce or less of marijuana for recreational use for people who are at least 21 years old.” Petition 1 would tax marijuana in the same way that alcohol is taxed in Nevada and generate revenue for resident and community services, including education. The approval of Petition 1 would also further protect patients seeking medical access from criminal prosecution for possession or consumption. The Marijuana Policy Project (MPP) is advocating that “Law enforcement should stop wasting time and resources on failed marijuana prohibition policies.” Although Nevada is considered a “decriminalized” state for marijuana, residents could still face criminal convictions for possession over 1 ounce. The MPP cites 2012 statistics that of the over 8,500 marijuana-related arrests in Nevada, 85% were for possession while, that same year, 90% of reported burglaries went unsolved. 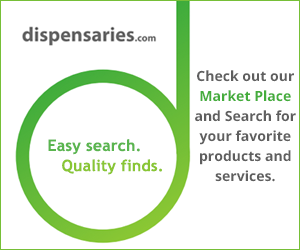 It took two years for dispensaries like The Source to come to market and open doors after Nevada approved medical access legislature. Groups like Marijuana Policy Project are helping to organize voters to push for swifter resolve in government regulations that are holding things up. Where Will Recreational Marijuana Become Legal Next?